Click to listen. 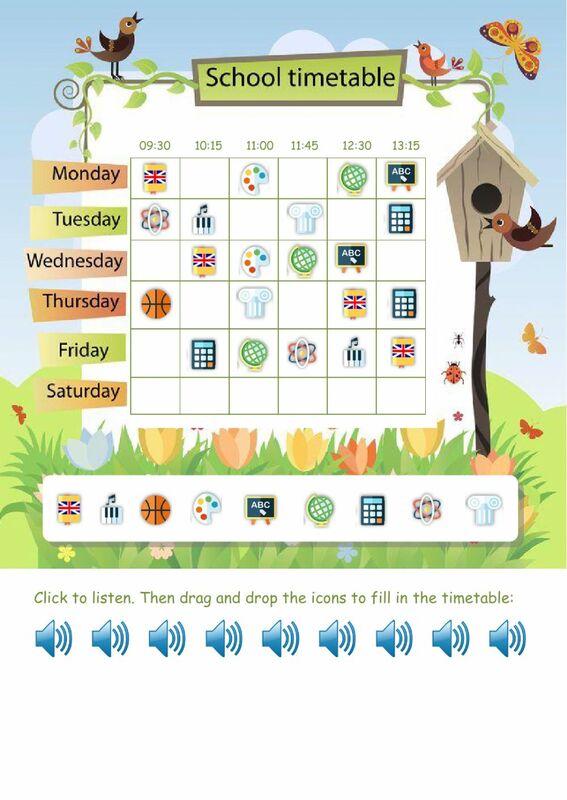 Then drag and drop the icons to fill the timetable. the listening botton doesn't work. You need Chrome or Safari to make it work.